NBA Jam Session ~ Roundball Manor - The House that Basketball Built. This week in Roundball has seen some of the most amazing dunks of the year. Lob City took dunking to another level as both DeAndre Jordan AND Blake Griffin added to their impressive highlight reel. It also saw two seven foot brothers go toe to toe, and a flurry of fantastic jams. Ahmad Rashad would be proud. 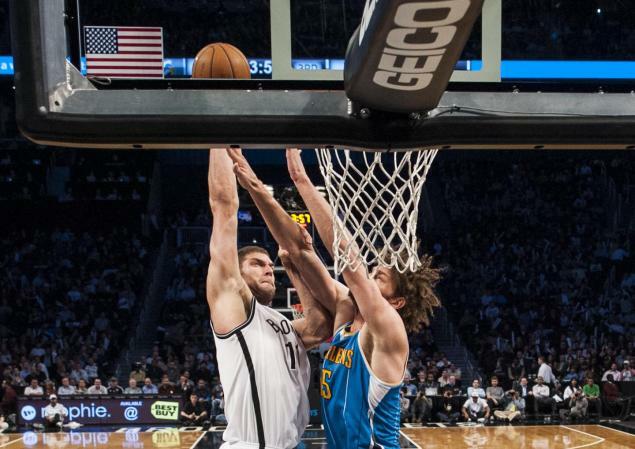 #5- Brook Lopez dunking on his brother. Perhaps his best work yet? #1- LeBron 'Brandon Knighting' Jason Terry. Copyright Roundball Manor 2012. Theme images by Barcin. Powered by Blogger.